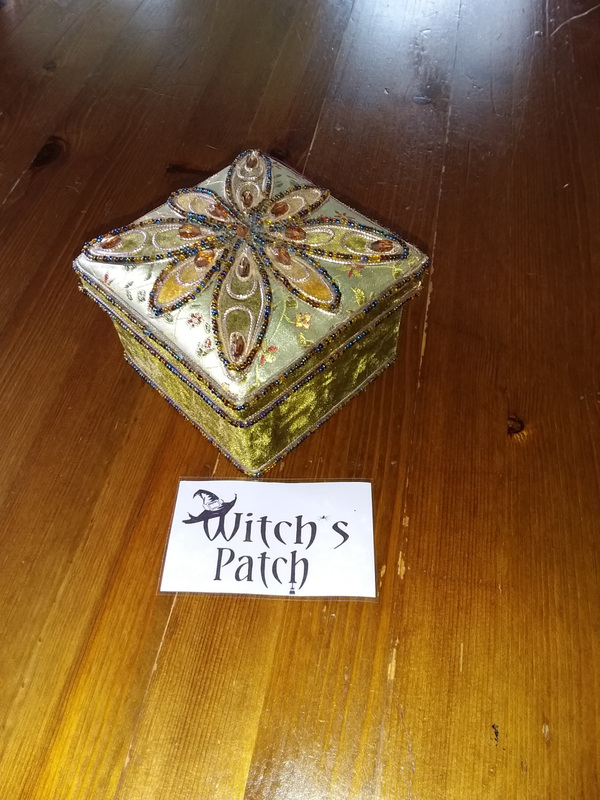 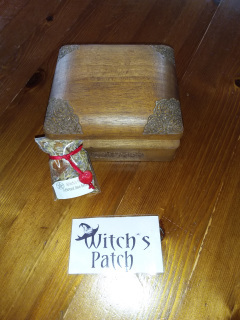 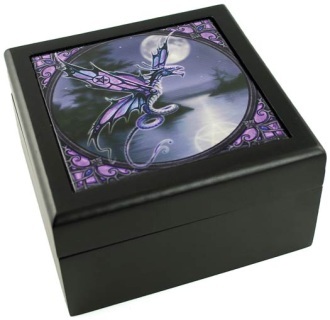 I love boxes to put all of my little 'treasures' in for safe keeping. with this in mind, I have some lovely boxes for your keepsakes - some have been lovingly made my myself, others have been bought - enjoy. 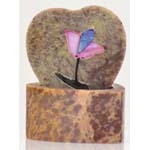 Exquisitely detailed and accentuated with bronze highlights. 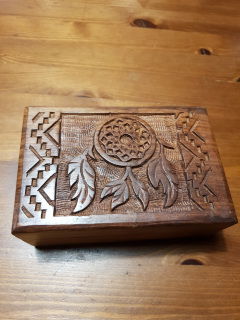 Inside the box there is a leaf design inscribed on the bottom of the box. 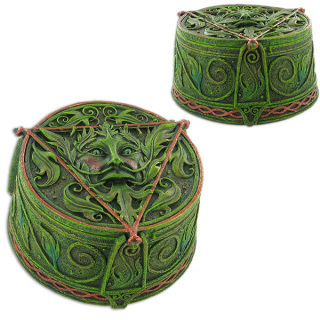 Featuring the symbol for water and the green man representing birth and regrowth. He has glass eyes that appear to make him look realistic. 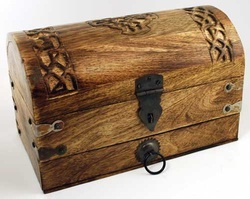 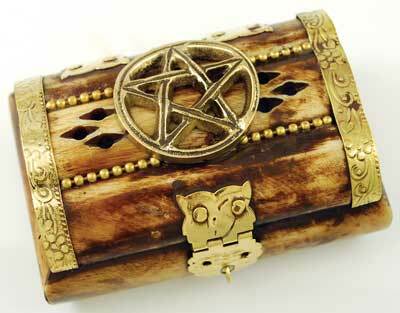 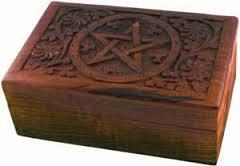 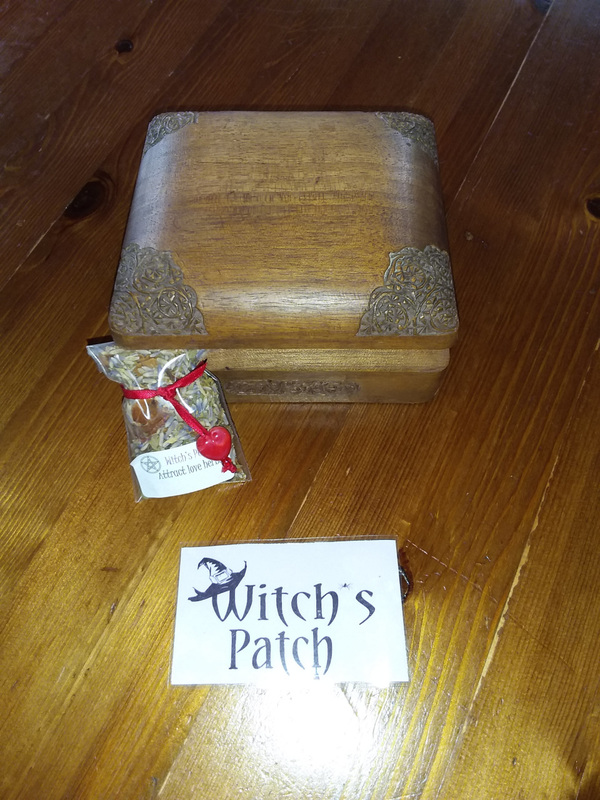 Featuring a pentagram, this mini bone chest is the perfect piece for storing small amounts of incense or otherwise using in ritual crafts. 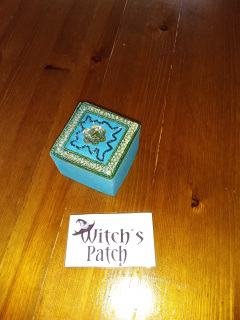 3" x 2"